The known watch company Harry Winston presents a new line of watches - Ocean Tourbillon Big Date. Due to its design registration, the novelties will attract attention. The models are presented in the round cases. The dials are divided into two parts: on the upper part there are two windows with indicators of the time and date, and at the bottom, at the 6 o’clock position - an amazing tourbillon. Dials are decorated with Côtes de Genève patterns. Tourbillon is available on the dial, so that makes sense, as if it floats in the air and is not connected with the rest of the mechanism. All of this can be seen through the sapphire crystal. The dials, presented in several color versions, are inserted into a round case, made of different materials and colors. For some models, the case is decorated with diamonds. Models from the Ocean Tourbillon Big Date collection are equipped with manual winding mechanism and 110-hour power reserve. The watch comes on a leather strap of multiple colors: black, light brown, dark brown. 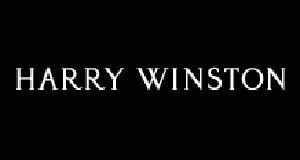 Official website of Harry Winston watches. Last year, the Swiss watch manufacturer Swatch Group announced the acquisition of 100 % stake of the jeweler Harry Winston, a manufacturer of jewelry and watch in "luxury" class. Harry Winston always admired women. In an effort to win the hearts of beautiful women, he created jewelry for their decoration of the most unique gemstones. Blue color in watches - the latest fashion trends! Blue color surrounds us everywhere, and now in watches: on the dials and straps, in shimmering depths of sapphire crystals. Secret watches or Secrets of Time: a new trend in the watch world! A century ago it was believed that there was no need for women to know the time. Just so was born the concept of secret or hidden watches, which was very popular in those days. In January of each year by a vote of international journalists living in Hollywood, the "Golden Globe" award is held. The watch company Harry Winston has introduced a new exclusive model Midnight Tourbillon GMT Limited Edition Geneva (Ref. MIDATG45RR007), dedicated to the opening of a new corporate salon in Geneva. The women`s limited watch Premier Feathers by Harry Winston presents the opening of a brand`s new boutique brand in Geneva. The famous brand Harry Winston opened a new boutique in Geneva, in Switzerland, on 42 Rue du Rhone. The boutique with total area of 4768 square meters is divided into separate sections. New watches by Harry Winston are called Midnight Monochrome, the creation of which was inspired by the beauty of design with natural slate. Known company Harry Winston presents an amazing jewelry model Mrs. Winston High Jewelry Timepiece - the latest addition to Harry Winston Ultimate Adornments High Jewelry collection. The known company Harry Winston has pleased its fans with three versions of the Ocean Biretrograde watch: with cream, dark gray and walnut dials. Depending on the color of the dials are chosen and materials for cases - from white or pink gold. The famous company Harry Winston has recently expanded its Midnight Collection with a novelty Midnight Skeleton. The model has a case made of white or rose gold with a diameter of 42 mm and a height of 7.5 mm. The watch brand Harry Winston has introduced a new model of a watch Project Z6 Blue, done in blue. The watch brand Harry Winston has introduced a new multi-function model Ocean Tourbillon GMT, combining GMT function and a tourbillon. The success of watches created especially for the exhibition Baselworld 2013 by the designer Nelly Saunier for Harry Winston, inspired the American brand in the launch with Nelly Saunier of a new joint collection. In honor of the first boutique opening in Russia, the company Harry Winston especially for the Russian market has released a new series Opus 12. The company Harry Winston announces a new limited watch Midnight Minute Repeater, presented in two versions: a case of 18-carat white or rose gold (Ref. MIDMMR42WW004 and MIDMMR42RR0003). Working over the amazing model Premier Glacier, the wizards of Harry Winston made every effort to create a complex diamond pattern. At first glance, it feels like gems scattered randomly across the dial. The new original watch Midnight Big Date (Ref. MIDABD42RR004) is issued by the Swiss watch brand Harry Winston especially for the charity auction Only Watch 2013. The company Harry Winston announces the release of the next novelty, called Ocean Dual Time Monochrome. The company Harry Winston has expanded its collection with the novelty Harry Winston Ocean Tourbillon Jumping Hour, equipped with sophisticated watch complications. "Jumping" pointer of hours is a new function for the Ocean collection. In March 2013, the famous brand Harry Winston was a part of Swatch Group. Nayla Hayek, the Chairman of the Swatch Group Board of Directors, will perform the position of CEO of Harry Winston. The known company Harry Winston has released a new original model Ocean Triple Retrograde Chronograph, which, by its design differs from the previous brand’s chronograph. This time, instead of the traditional round pointers, the designers have chosen retrograde counters. At the international exhibition of watches and jewelry BaselWorld 2013, the known company Harry Winston has introduced a novelty Opus XIII. The known company Harry Winston announces the release of its next novelty Histoire de Tourbillon 4 (Ref. HCOMDT47WZ001). In February 9, 2013, Berlin press conference of the film "Les Miserables" was held. On the wrist of the actor Hugh Jackman, attended the conference, is adorned by the Midnight Automatic watch of Harry Winston. Swatch Group Acquired Harry Winston Inc. The largest manufacturer of watches Swatch Group Ltd. has recently announced the acquisition of 100 percent stake of the U.S. company HW Holdings Inc., the owner of the brand Harry Winston. The known company Harry Winston every time surprised its fans with unparalleled models of watches. This time the brand has released a new watch Moon Phase from the Harry Winston Midnight collection. The known company Harry Winston has released a novelty Ocean Triple Retrograde Chronograph Black Zalium, which is a triple retrograde chronograph. Wrist watches of the famous brand Harry Winston have always been different by their original design. These unique models were first released in 1989. A that time the brand Harry Winston was a small jewelry workshop, which later expanded its activities. Popular watch brand Harry Winston has released a new watch - Ocean Dual Time Black. The model has a round case with a diameter of 44 mm from aluminum-zirconium. On August 25 this year in the Hong Kong Mandarin Oriental Hotel will be held an auction Important Modern & Vintage Timepieces (important modern and vintage watches), organized by the company Antiquorum Auctioneers. What the advertisers make to draw attention to certain products. Sometimes these "inventions" can make laugh and sometimes get to think about something, and sometimes even move. In the midst of summer 2012, the president of the watch and jewelry company Harry Winston Frederick de Narp and the famous graffiti artist Andre Saraiva celebrated a release a new watch collection of Harry Winston Ocean Sport with a dinner at Sunset Beach on Shelter Island. The company Harry Winston has introduced a collection of watches Ocean Sport ™, showing the combination of sports and hi-tech. Feature of the new lineup is the usage of innovative materials – zalium, which is a unique fusion, developed by the famous chemist and engineer Ronald Winston specifically to manufacture Harry Winston. Harry Winston is one of those brands, which always offers its customers a superior product for the time measurement. These are true masterpiece. Today, Harry Winston announces the release of a new Premier Feathers collection. Over the past few days online is just teemed with reports about sale at Christie's auction in Hong Kong one of the rarest of diamonds - the so-called "Martian pink diamond." Swiss watchmaker Harry Winston has unveiled a new limited edition watch in honor of the Chinese city of Shanghai. Issue is timed the opening of a new Harry Winston Pavilion at Shanghai. Harry Winston watches - it is not just an ordinary time measuring, but a real piece of complex watch mechanics, often in conjunction with the jeweler's art. For the manufacture of watches Harry Winston are used the highest quality gems and precious metals of the highest standard. The legendary watch company Harry Winston has once shook the world with its watch creation – Opus. And now every year, all high watch making connoisseurs are eagerly waiting for the next watch premiere - a new Opus. The famous company Harry Winston has always amazed by its excellent models of watches. At the exhibition BaselWorld 2012 the brand has introduced the new watch Histoire de Tourbillon 3 (Ref. 500/MMTWZL.K) from the collection of Histoire de Tourbillon. New ladies watch Premier Large Chronograph by Harry Winston - Diamond feast for the eyes! As it known, the most beautiful is for the beautiful half of humanity. The famous Swiss jeweler - watchmaker Harry Winston, apparently adhering to this concept, introduced a new women's watch Premier Large Chronograph, where place the girl's best friend - diamonds found their worthy place. Harry Winston – the sponsor of the project Tomorrow / Bokra. Watchmaker Harry Winston with legendary producer Quincy Jones and the organizer of social events from Emirates Badr Jafar has launched a global project of Tomorrow / Bokra (Arabic means "tomorrow"), in which are released the music video and documentary film. Watchmaker Harry Winston the second year acts as a sponsor of the established by the International Women's Forum an International Hall of Fame. The event is attracted hundreds of the most influential female leaders from over 45 countries in the building of the historic Washington National Museum. Swiss watchmaker Harry Winston has planned in the current year, the release of a new line of watches Ocean Sport, which will undoubtedly take a special place in the fans’ hearts of the unique timepieces. Exquisitely elegant and perfectly functional the models of the new line include male and female specimens. The famous "New York Collection” of Harry Winston Avenue has replenished with a new watch model. C Large is the largest women's watch, studded with diamonds. This chronometric decoration will be the best gift for any woman.